LOU KAMAKA came to New York from the state of Hawaii, and found occasional work modeling. On one particular shoot, the photographer went off on a rant near a cache of mood slime and caused a spectral event. Lou punched the ghost, and that's the kind of thing people remember. Years later, when RON ALEXANDER was looking to put together an ad campaign for his GHOST SMASHERS, he was told about Lou. He met with her as a potential model for the ads and wound up hiring her instead. 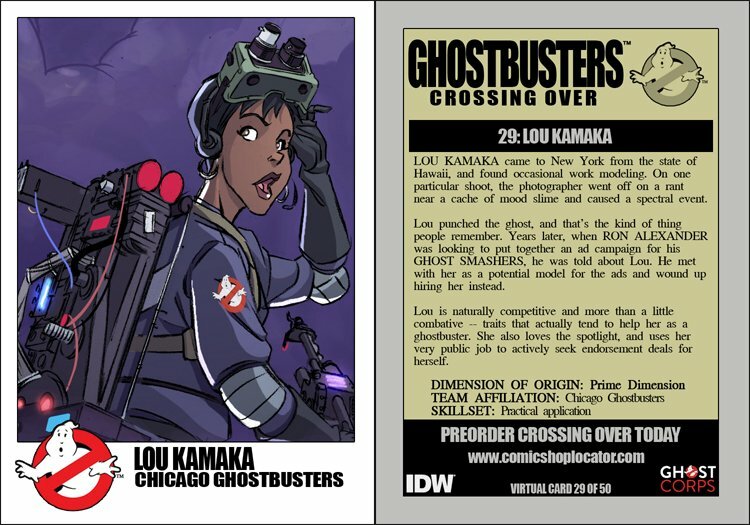 Lou is naturally competitive and more than a little combative -- traits that actually tend to help her as a ghostbuster. She also loves the spotlight, and uses her very public job to actively seek endorsement deals for herself.